With our deep insights on project development of combined heat and power technologies, Jenbacher Type 4 installations provide substantial reduction of the environmental footprint in facilities that have consistent electrical and thermal requirements. 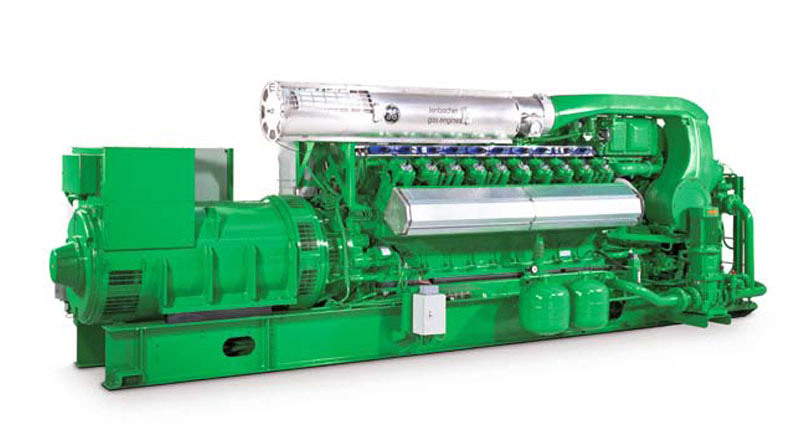 Pushing the boundaries of efficiency in the 800 to 1500 kW power class, the Jenbacher Type 4 is characterized by its high power density and maximum reliability. Supporting a variety of fuel types to include state-of-the-art fuel blending and thermal recovery applications, the Jenbacher Type 4's modern engine concept features a high-power turbocharger that allows optimal operation at higher air intake temperature and altitude. Notable technical features include flexible arrangement of the heat exchanger for maximum thermal efficiency, even at high and fluctuating return temperatures, as well as electronically controlled gas dosing that rapidly adjusts the air/gas ratio with a high degree of control and accuracy. Its four-valve cylinder head is engineered to provide optimal cooling and combustion conditions, while its connecting rod technology, tried and tested by the transportation industry, provides high dimensional stability in a wear resistant and easy to maintain design. In addition to saving your organization time and money, the Jenbacher Type 4's simultaneous production of electricity and heat significantly reduces your environmental impact while improving the power reliability at your facility. Our integrated systems include engine generator, heat recovery, system controls, and utility interconnect equipment for returning excess electricity back to the grid. 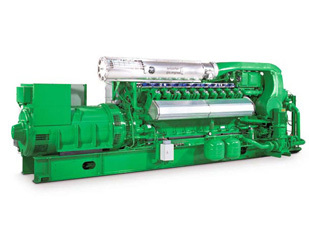 If you are interested in learning more about cogeneration technology, please contact us for a consultation.